Master Bond EP42HT-3AO is thermally conductive, electrically insulating epoxy for bonding, sealing, coating and encapsulation applications. It is relatively easy to use with a forgiving 100 to 40 mix ratio by weight. It will cure in 3-4 days at room temperature or 2-3 hours at 150-200°F. To optimize properties, the recommended curing is overnight at room temperature followed by 2-3 hours at 150-200°F. Upon mixing, EP42HT-3AO is a moderate viscosity system with very good flow properties. Among its many favorable attributes, this system has a high glass transition temperature and a low coefficient of thermal expansion. 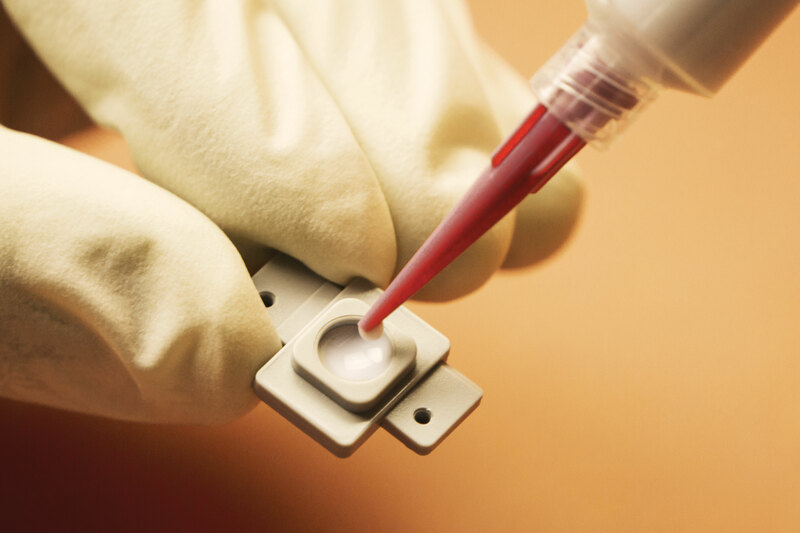 It bonds well to a wide variety of substrates including metals, composites, ceramics, glass and many plastics. Some positives include its low shrinkage upon curing and stellar dimensional stability. It is resistant to water, oils, acid, bases and many solvents. The service temperature range is from -100°F to +400°F. The color of Part A is white and the color of Part B is off-white. This blend of product properties allows this distinctive formulation to be used in specialty electronic, optical, opto-electronic, aerospace and related industries. EP42HT-3AO is available is various sizes and units to accommodate customer's needs. Watch this video to see the process of how to mix epoxy system EP42HT-3AO with a thick Part A component and a thin Part B component.